After four years of war Germany was on the verge of defeat. Its armies were exhausted and in retreat, its civilian population enduring hardship and hunger. As unrest grew at home, the German government and military struggled to maintain control. The German Kaiser was forced to abdicate. Germany became a republic. 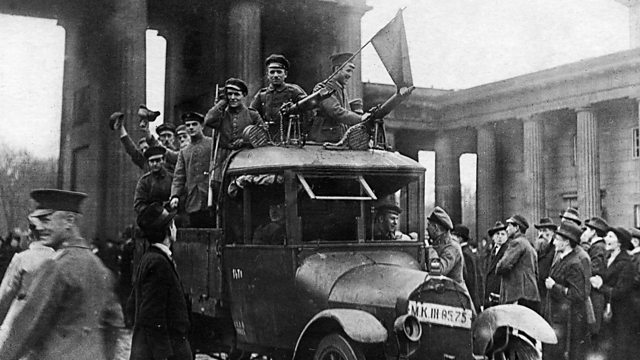 Hear first-hand accounts from the BBC archive of how the disastrous end to the First World War provoked revolution in Germany.